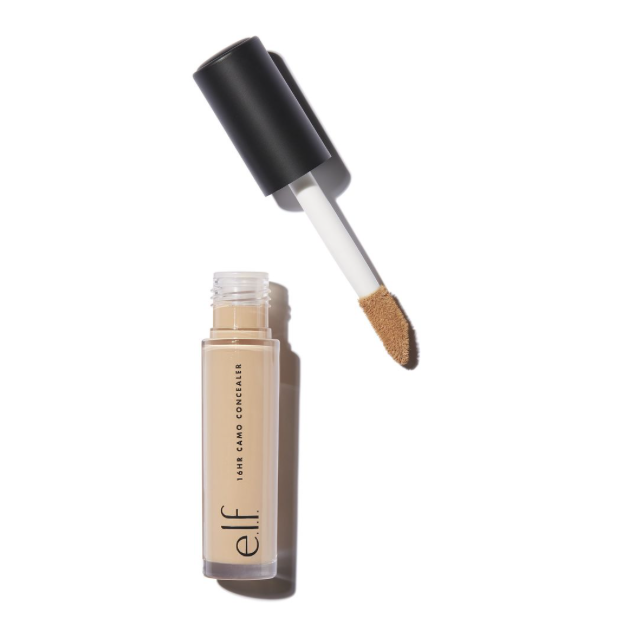 Finding the perfect concealer can be a tricky business, but thanks to e.l.f’s 16 hour camo concealer, the search might be over. Concealer is a product we use daily to hide our sins, so finding one we are happy with is very important. Too often, we will see a blemish we want rid of, or dark circles under our eyes we’d rather conceal, so it’s great news to find an affordable concealer reviewers are raving about. This 16-hour camo concealer from e.l.f comes in eighteen different shades, including fair warm, light peach, deep cinnamon and rich ebony. Finding an exact colour match can be difficult with concealer so we are delighted to see so many different shades available. The product comes with a large doe foot applicator which is the ideal tool for concealing, correcting, contouring and highlighting! The formula is lightweight and dries matte so there is no need to set with powder so this product is a bit of a time saver too! And what’s more, it is cruelty free and vegan. This concealer really is ticking all of the boxes. If these reviews have made you curious and you want to test the product yourself, you can buy it from here. Could this be the essential product your make-up bag is calling out for? With such incredible reviews and for such a low price, we’d say it’s definitely worth a try!